RATS - Rapid Application Tourniquet System | BUDK.com - Knives & Swords At The Lowest Prices! 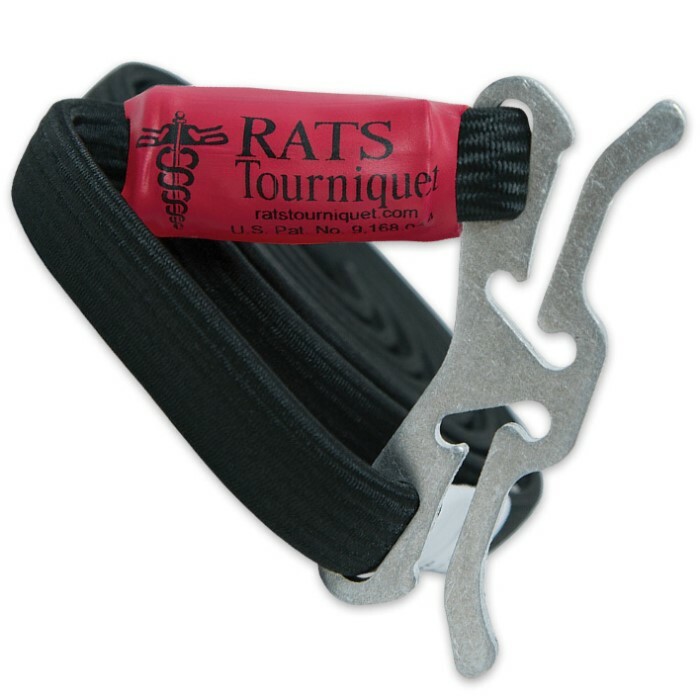 RATS (Rapid Application Tourniquet System) is the fastest tourniquet on the market and is proven in combat. It was invented and patented by a 28-year Special Forces Medic with multiple combat trauma experiences under his belt. 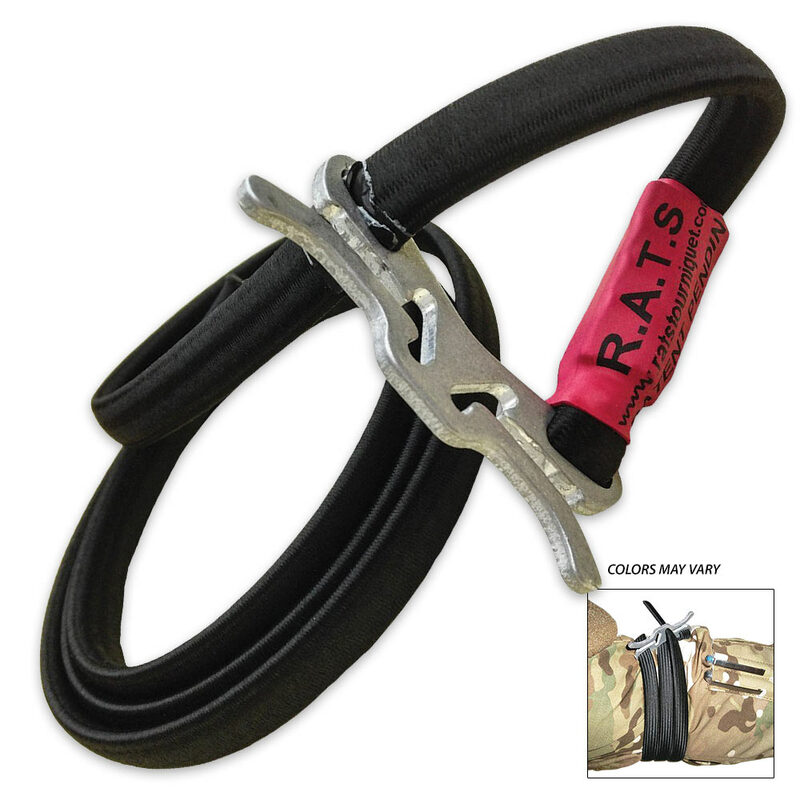 The RATS uses a solid, vulcanized rubber core with a nylon sheath, combined with a unique locking mechanism, to make an incredibly fast tourniquet to apply to yourself or others. It has been proven to be effective in occluding blood flow in both upper and lower extremities by the US Army’s Institute of Surgical Research. 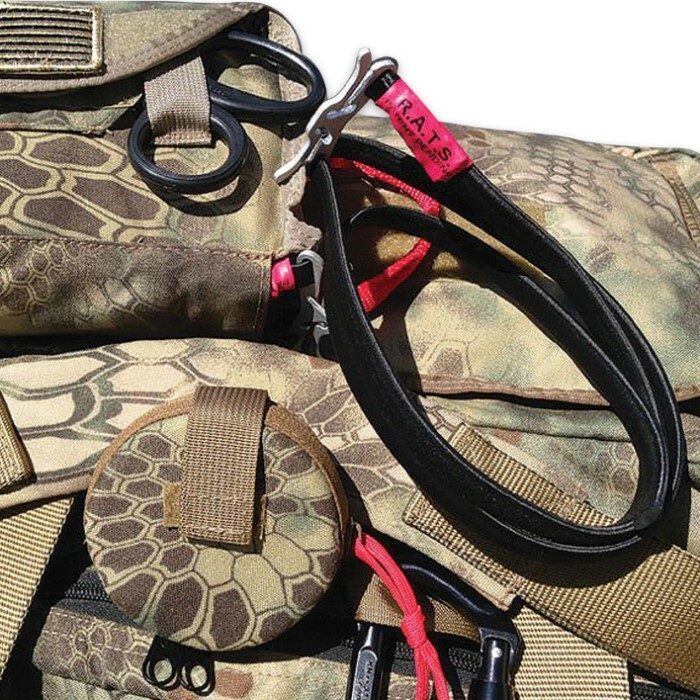 It is also designed to allow for use on small limbs, including working dogs. No other tourniquet compares to it when being used, under stress, in terms of time or ease of use!